Since I’m being uber unproductive at the moment, I figured I’d post this after someone recommended that I do so. Yesterday, I posted on my gchat status asking for book recommendations. I have been having a serious problem getting through any book recently, so figured if some of these had excellent reviews, I should be able to get through them. Also, I need books for my trip to Mexico next week (yay!). And holy crap did the ideas come swarming in. I figured I’d pass along to you all in case you are interested in a good read, recommendations compliments my friends. The Hunger Games trilogy – I actually got two votes for this. And the second vote came after I had already bought the first two books in the series. Perfect easy beach reading for my trip next week. The following were not recommended to me, but this is what I’m recommending to you. Omnivore’s Dilemma, by Michael Pollan – I actually haven’t read this yet, but just bought it. I made the mistake of watching Food, Inc. and now am on a quest for more information about the food industry. I’m also looking into farm shares and researched reverse osmosis water filtration systems. Could barely get through a taco salad with meat yesterday after watching this movie. Oh the joys of being healthy. Roots, by Alex Haley. I read this years ago and it still remains probably my favorite book of all time. Night, by Elie Wiesel. Another one of my faves. I like to read about depressing, real topics. City of Thieves, by David Benioff. This was recommended to me by an old eharmony date. Actually, I told him I hadn’t gotten through a book in a year while we were at a bookstore on our third date, so he just went and bought it for me. After that he never called me again. I have come to realize that everyone serves a purpose in our life, albeit big or small. He showed me that I can indeed get through a book if it is captivating enough. This is captivating. Highly recommend. Kaffir Boy, by Mark Mathabane. Excellent. I’ll update this list when I think of more. If anyone has additional recommendations, please let me know so I can add it to the list! Bright and early Friday morning I was able to help install a new refrigerator for the parental units. 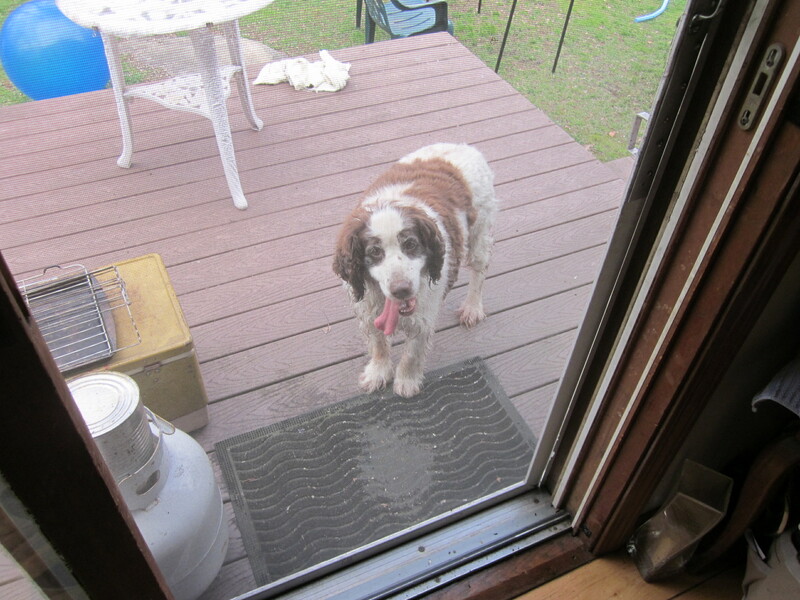 As I’m overseeing the movers installing the fridge, a random dog walks into the house. I look up and there is a panting springer spaniel in front of me. Later I found out that it was a neighbor’s dog. Slightly amusing. While at home I was also blessed with the opportunity to view my father’s newly claimed artwork. This is not a joke. It is hanging on the wall. 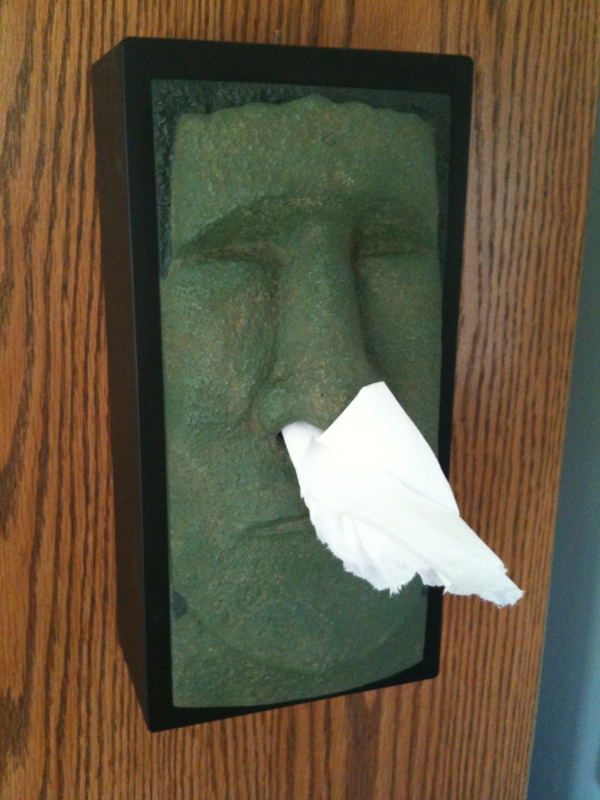 Yes, that is a tissue coming out of the nose. Does everyone have such amusing family members? Going home is usually fairly chill and relaxing, a nice break from city life if you will. A time to revive my liver and get some much needed R&R. This time I went on a few runs, hung out with friends from home, and spent time with family which is always nice. In fact at one point I noticed I hadn’t left the house in 3 days. And I was totally fine with that. At one point a friend was over visiting, we’ll call her Ant, and a discussion ensued about her idea to do the Amsterdam half marathon in October. I asked some questions and sounded generally interested, given that I wanted to travel for a half marathon sometime anyway. But when I say travel, I mean Napa Valley or somewhere in the US. In no way did I intend to do my first half in Amsterdam. Jokingly I thought, Ant said she’d sign me up later that day. Sure enough, a few hours later I got the notification that she had just paid 46 euro (no small dime) to sign me up for the race. Seriously? Who does that? Ant. Ant does that. So apparently I’m doing a half marathon in October. Guess what guys. Hot Married Yoga Instructor is officially divorced. Which would partially explain his flirty nature and why he does not wear a wedding ring. No idea how long he has been on the market again, however, Mo the master investigator informed me of this development over the weekend. And it came from official sources. Let’s keep in mind that I did just see him and his wife at the Meridian Hill Park drum circle last fall, so this must be a more recent development. Okay I’m just kidding. Even though he is ridiculously flirty, he actually has groupies because of his English accent, sense of humor, and hands on approach to yoga. Girls wear makeup to his classes. So I am not the only woman who had/has a minor crush on this guy. Knowing he was married, of course, I gave up on the crush; so I just say whatever and treat him as any other yoga instructor. But this is not just any other yoga instructor, folks. This is Hot Divorced Yoga Instructor. We’ll see how class goes tonight with this late breaking development in mind. Assuming that during the furlough and after, we may not get paid, consider getting on what is called the match.com mealplan. If in a relationship or married, pretend you are single. You’d probably fit in with the majority of the population on match.com anyway. When leaving the office tonight, avoid the media like the plague. Given how political this whole ridiculous scenario is already, no need to get yourself more involved than you already area. Think FOIA. Refrain from spending money as you normally would over the weekend. That probably goes without saying, because, as an FYI – we are out of a job on Monday. Only in the US of A. And since what we are all really worried about are the tourists in this situation, a friend sent me this link to help everyone along with their sightseeing plans in the event that everything is shutdown. Luckily, it works for us common folk Feds as well. Remember all those Groupons and Living Social deals we’ve bought over the past year? It’s time to use them. Despite popular belief, there are happy hours on Saturday. Think Cafe Dupont, Vinoteca, and Alero as they all have deals around 5pm. Of course, that is if you absolutely must drink during these tough economic times. DO NOT in any situation check your work email or use your blackberry during a furlough. Again, FOIAable. Check the OPM website for updates on when we are to go back in, watch the news, and wait for a phone call from your manager. Enjoy your time off! Even if we aren’t getting paid, hell – we don’t have to work! Live it up, albeit frugally. ’99 (I was at school then, dating myself but it was awesome), ’04, ’11. Ironically, we had a dog like this growing up, she was awesome. That is all. Go Huskies. 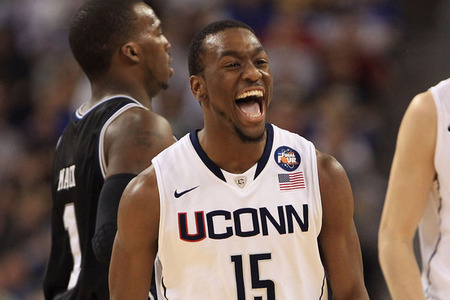 UConn is playing for the National Championship. I never thought I’d see the day, at least for this season. My sis, Jean, and friend Matt are both down in Houston for the game. Completely jealous, and they have good seats too. Let’s go Huskies!!!!! (and can we believe the Lady Huskies lost last night? Kind of crazy). 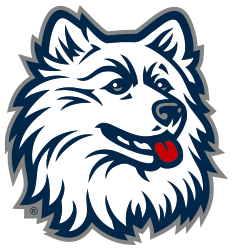 U – C – O – N – N, UCONN, UCONN, UCONN!!! You are currently browsing the A Day in the Life of Sara blog archives for April, 2011.